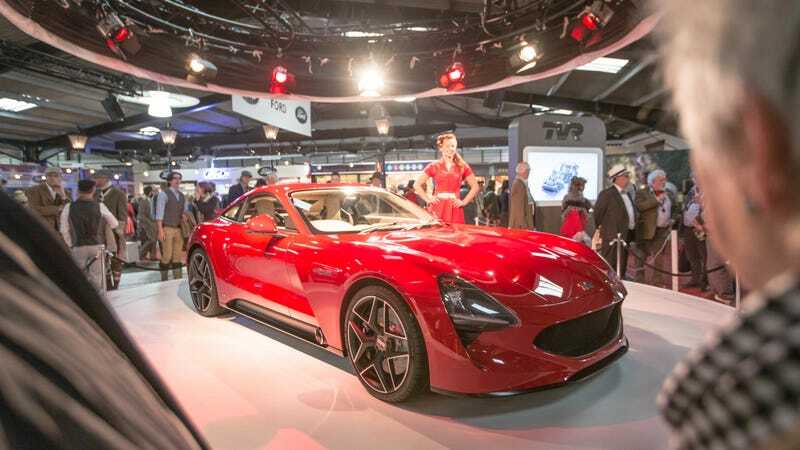 The new TVR Griffith has all the ingredients that make it a perfect driver’s car: a 500-horsepower V8, a lightweight body, a manual gearbox. But what about the sound? Obviously, with no turbochargers or any nonsense hindering its exhaust note, the thing should sound pretty biblical. TVR released a short clip of the Griffith testing this week. It’s short and not terribly high quality, but you can still hear it. Unfortunately, it sounds like the driver let off the gas right as the car approached the camera, so the sound cuts out. Still cool, though! I can’t wait to actually hear it. Perhaps I’ll set it as my ringtone.